It’s Hangover Thursday, how’s your head? Personally I’ve got a little bit of head ache. It’s one of those throbs that make it feel like your skull hurts. Maybe that is why liquor makers having been going with skull motifs lately. They aren’t using actual skulls of course, but the bottles they are coming in are fantastic nonetheless. 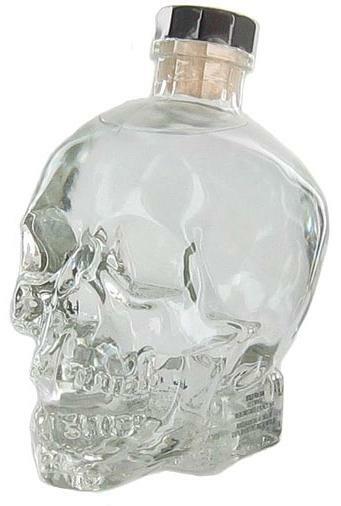 Crystal Skull Vodka is probably the best known of the bottles we’re talking about today. Co-founded by Dan Aykroyd and manufactured by Diamond Estates Wines & Spirits Ltd., Crystal Skull is probably more famous for its bottle then the vodka it contains. The glass skull bottle with its wood stopper is stunning. I’m not a giant vodka fan, but it is only a matter or time until I come home with one of these things. 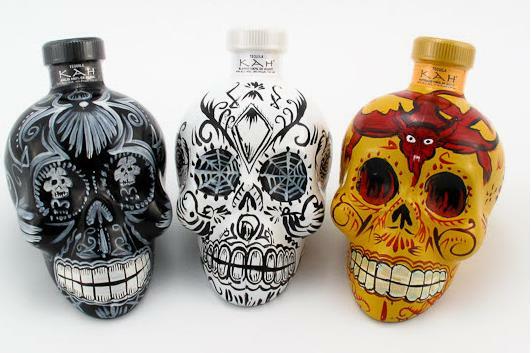 On the opposite end of the design spectrum from the crystal skull are the hand painted skull bottles from Kah Tequila. Designed to reflect the Day of the Dead celebration every bottle is hand crafted. Because each bottle is done by hand, no two bottles will ever look exactly alike. It also makes them expensive and a little hard to find. Kah is a Mayan word for Life. Kah comes in three different varieties; Anejo, Blanco, and Reposado. The Anejo comes in the black skull and contains aromas of coffee, chocolate, and tobacco. It is aged two years in an American White Oak cask. Blanco has a more sweet taste followed with a white peppery aftertaste. 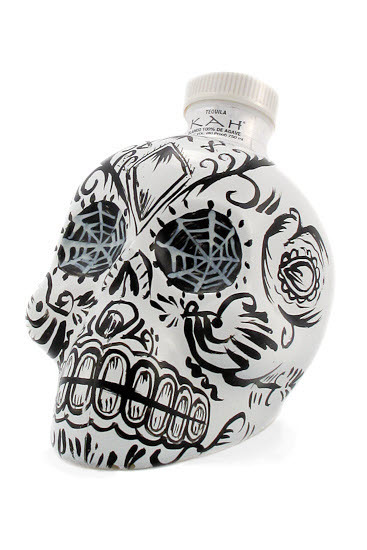 It is bottled in whit skulls that are made to look like the traditional Calaveras (sugar skulls). Reposado is the high proof (110), intense drink from the Kah line. Aged for ten months in French limousine casks, it has subtle hints of vanilla and caramel. It is painted with devil imagery. That’s it for this week’s Hangover Thursday. I almost forgot, today is the 300th post here at That F'ing Monkey. Celebrate each victory. Woooo. Anyway, it is a little too early for celebrating. I’m off to go get another cup of coffee, the last one hasn’t kicked in yet. Thanks for reading.